It has been a little while since posting recent projects. 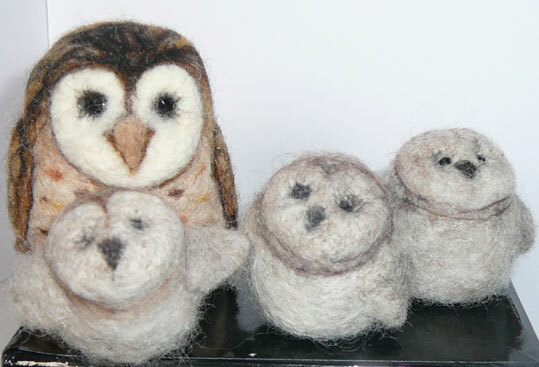 This is a needle felted group that could be used to tell the story of the “Owl Babies” story by Martin Wandell. 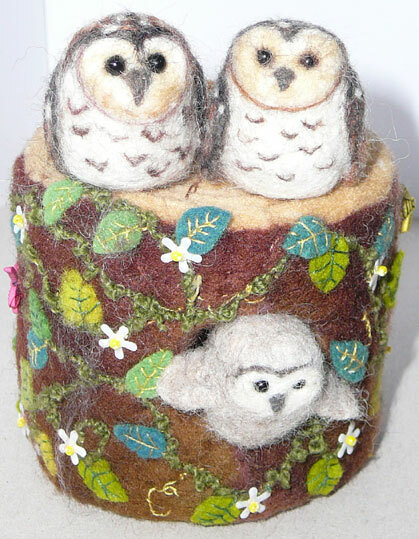 Owls seem to be much a preoccupation as also finished is another version of the Tree Stump owls and a few more spotted owls . This nature scene is proving to be a challenge. The base is complete but begs another character or two. 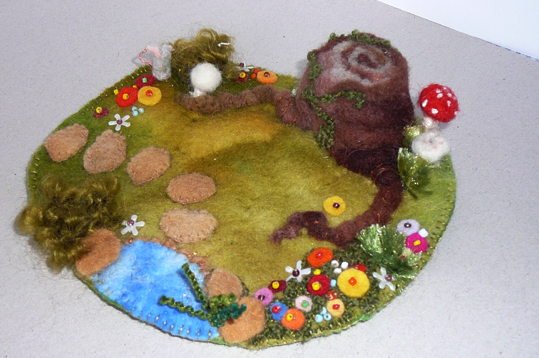 As it is Spring I have been contemplating that a fairy or flower child might be appropriate, or maybe a gnome . Sometimes an owl sits on the stump but it is time to deviate a little and explore other options. Thankyou for making contact- I am so delighted that you took the time- and have found your lovely and inspiring blog,which i shall visit now. Again, and as always, I am totally blown away by your amazing creations.